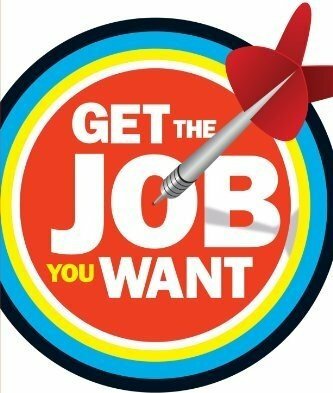 Get the Job You Want: About Job Search and Interview Coach Howard Cattie, Jr.
Do you want to work with a job search and interview coach who will help you get the job you want? Career Coach, Counselor, Mentor and Career Expert Howard Cattie, Jr. has been focused on career coaching and how to position yourself successfully for over 30 years. Howard's honest passion for helping others, extensive and deep background and his and robust online resources and tools are why some of the reasons Wake Up Eager has asked him to partner with us here to give you the career change and interviewing resources you need and deserve. More about Howard's background and see what people say, here. 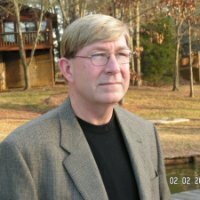 Howard has had over 30 years as a Career Coach, Recruiter, Sales and Sales Manager before founding CareerOyster LLC. CareerOyster provides online career and job transition coaching to help executives and professionals direct their careers throughout their working lives. Services include resume help, interviewing help, job leads and customized career coaching via multimedia products. The theme of the company is simple: "The world is your Oyster, be the pearl." CareerOyster works with mid and senior level professionals and executives and provides career transition strategies, outplacement services, and executive coaching. Howard owned a specialized recruiting firm for Technology and Technology Sales and Marketing professionals. He was also an Executive in three national Recruiting and Staffing organizations. His specialties have included Sales and Marketing, IT, Engineering and Accounting. Howard has run offices and regions throughout the US. He has had technical Sales experience and computer hardware design. MS in Computer Engineering from Michigan and an MBA in Marketing from Temple University. Coaching Client Senior Technology Sales Professional, D.B. said, "Howard Cattie is one of the best advisors, coach, or supporters I have ever met. He’s held every position imaginable, both inside Fortune 500 companies or selling to them; this gives him valuable insight into how to work a situation. As an old-school guy with new-world perspectives and skill, Howard brings solid credentials to his approach to business. I enthusiastically recommend him." Coaching Client - MBA David B. said, "Job Search and Interview Coach Howard was instrumental in assisting me with my job search and he helped define a process and methodology which really worked. His Resume Coach and Interview Coach are wonderful tools and I found there to be a lot of value in his program. I would recommend him to anyone trying to get a job in any arena." Coaching Client - Insurance Professional Jim H. said, "Howard & I met...several years ago. It was difficult time for me in a difficult job market. Howard taught me how to interview and coached me into a fantastic positon I never would have secured without his expertise. Howard has had a profound effect on my communication skills and I would give him the highest recommendation working with either Corporations or Candidates in the placement process!" Coaching Client - Human Resources Professional Amanda M. said, "Howard is an excellent job search and interview coach. He will help you strategize your job search, prepare and land the position you want. He teaches an approach to job search that is "solution selling" where YOU are the solution to the employer's need. After working with Howard I was able to land a great position. But more than that I learned skills that I can apply in many situations as well as increased my level of confidence. I recommend him highly"
Coaching Client - Project Management Professional Bill J. said, "At the risk of sounding yet another cliche horn in "plugging" this talented coach's attributes for his services and work with those in career transition, I can't stress enough how much Howard's Resume Coach and Interview Coach has helped me. I believe with of my heart that my success in recently landing a GREAT job was the direct result of Howard's ability to help me tackle the tough arena of job search! I hold him in very high regard as a person and truly consider him one of the primary reasons I was able to land my job! I never stop telling others about his talent and highly recommend him with confidence and pride!" Contact Howard for a Complimentary Coaching Discussion.